As a new player in the World of Warcraft I was quite excited to sit down and watch my first big reveal where I actually had a clue as to what was going on. Unfortunately being load shed meant I’d have to enjoy it from my iPad, nonetheless I sat there smiling like a kid on Christmas morning in darkness. The beautiful Soe Penski opened the reveal showing a catch up of where we are in the current lore, then inviting the World of Warcraft developers to continue their reveal. Soe was joined by Tom Chilton (lead game designer), Alex Afrasiabi (creative director) and Ion Hazzikostas (lead encounter designer) who revealed the new expansion, and walked us through the upcoming changes. Tom Chilton first revealed a small bridging video between the two expansions which saw Warlord’s of Draenor villain, Gul’dan, activating a green crystal which we all knew involved Illidan Stormrage (from the Burning Crusade). Next came the big reveal, the brand new World of Warcraft expansion – Legion. This was more than expected by avid fans of the titanic MMO, but what came with the reveal was what got us all excited. New class, new raids, pvp changes, new dungeons and of course the Artifact weapons! The Demon Hunter is an off-race of the Elves, shunned for wielding the dark powers of the Burning Legion. The Demon Hunter’s will also have unique abilities catering to it’s lore, such as Metamorphosis, and a Super Mario style double jump. The new class will have two specializations: Havoc, the melee damage specialization and Vengeance, the tank specialization. Blizzard’s choice of two specs is rather unusual, as most classes often posses three choices of specialization. Demon Hunter’s will have three class specific traits which will set it apart from the rest. Demon Hunters’ blindness belies their true powers of perception. They rely on magically augmented sight to detect enemies, even those that hide behind obstacles. 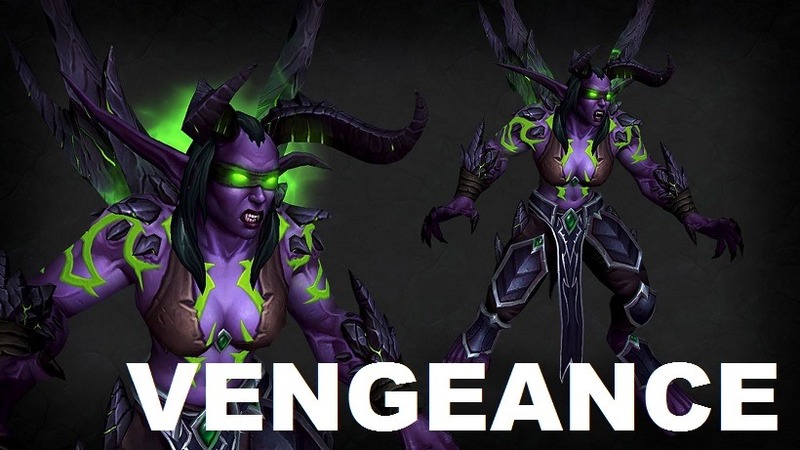 Demon Hunters transform into hellish forms, enhancing their formidable powers: damage-focused Illidari gain incredible swiftness and damage allowing them to finish their prey, while those who prize defense become nigh invincible in their demonic forms. You can find out more on the Demon Hunter class page. To fight an ancient foe, you would need to wield an ancient weapon. Artifacts are the latest addition to WoW (replacing legendries perhaps? ), and will replace your ordinary weapons with those once held by people of Legend. Each Artifact is specifically tailored to your specialization, with each weapon having its own quest line. The Artifacts are customizable, but not only in appearance. As you level up your Artifact you are able to skill it to tailor to you build. This adds a level of excitement to the new grind that will more than likely take up all your time. As seen in the video above, the Artifacts include: Ashbringer, Doomhammer, Maw of the Damned, Ebonchill, Sheilun and Thas’dorah. 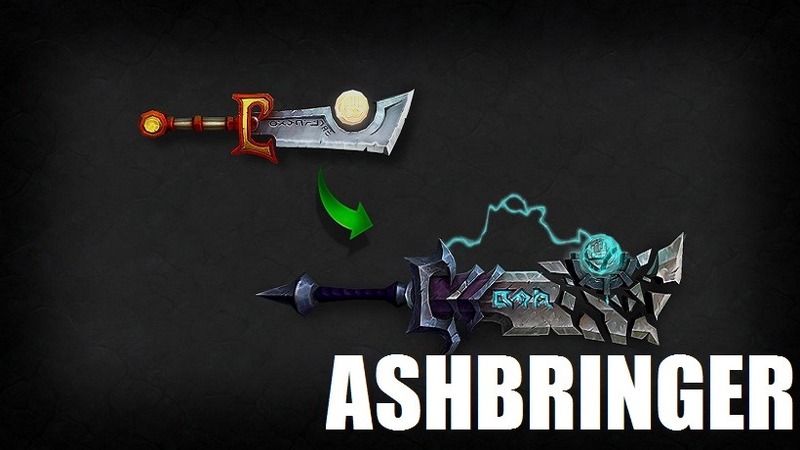 Weapons which are famous throughout WoW lore. Each weapon has a different appearance tailoring to your specific class specialization. Above is just one of the many variations for the Paladin Artifact, Ashbringer. 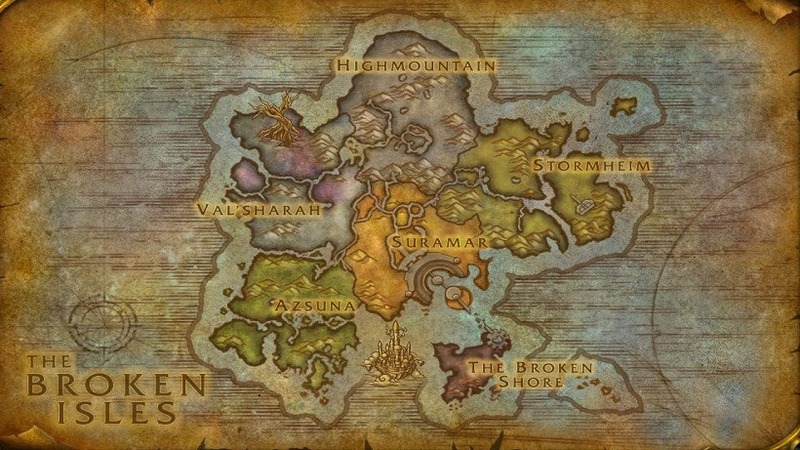 The Broken Isle will be the latest unlocked area where all raids, dungeons and Artifact quest lines will take place. The Broken Isles was first featured Warcraft 3, the Tomb of Titan Sargeras, which was risen from sunken fortress by Gul’dan. The Broken Isles were originally home to Night Elves, but once sunk became the Naga. In Warlord’s of Draenor Blizzard introduces the Garrison. The Garrison changed quite a bit regarding how the game is played. Professions became irrelevant, building followers for your Garrison was seen a small army you would use to combat the Iron Horde, but most of the time you’d spend doing Parkour between your buildings. Blizzard announced a new building, a place unique to your Class where you can complete the newly added Artifacts and hang out with people of your class. 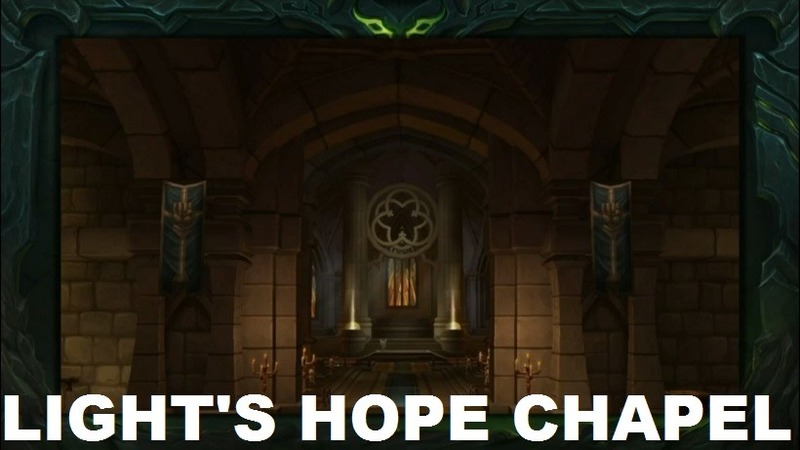 In the reveal we got to take a look at Light’s Hope Chapel, the Class building for Paladin. The idea is that the army of followers you were building are irrelevant now (thanks Blizzard) and you will now need to craft an ancient Artifact to defeat the Legion. Some other changes were discussed, such as reworks of the honour player vs. player (pvp) system as well as random battlegrounds. PvP has been lacking in Warlords of Draenor, poor content and imbalances among classes have steered even the most dedicated away. These changes are welcomed. We plan to keep you up to date as more information is released.